There were two important reports on the economy released this morning. 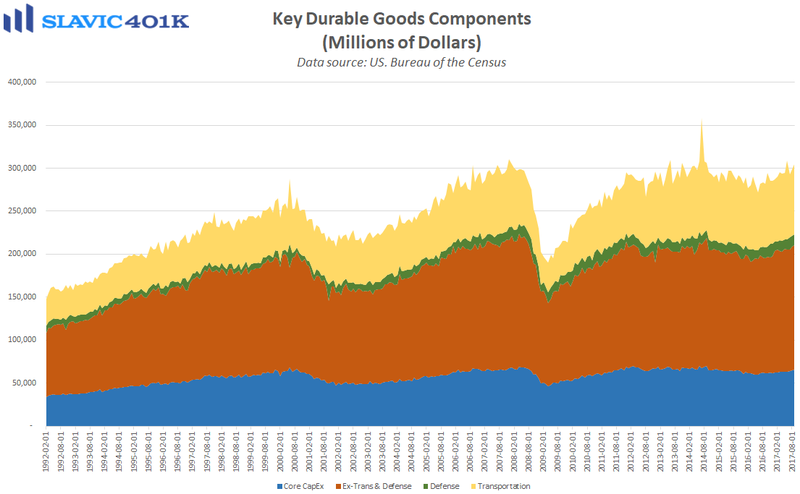 First, data from the Census Bureau showed that orders for U.S.-manufactured durable goods (items meant to last at least three years) jumped in September by $5.1 billion (2.2 percent) to $238.7 billion. That was more than double the increase economists had expected and the August gain was revised higher. 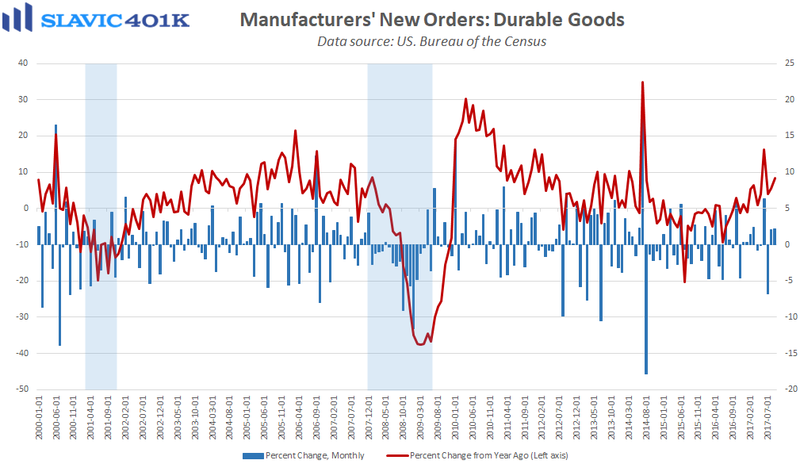 September’s strong print helped lift the year-over-year pace of growth to 8.3 percent, the best reading since June and the 8th month in a row of annual growth. 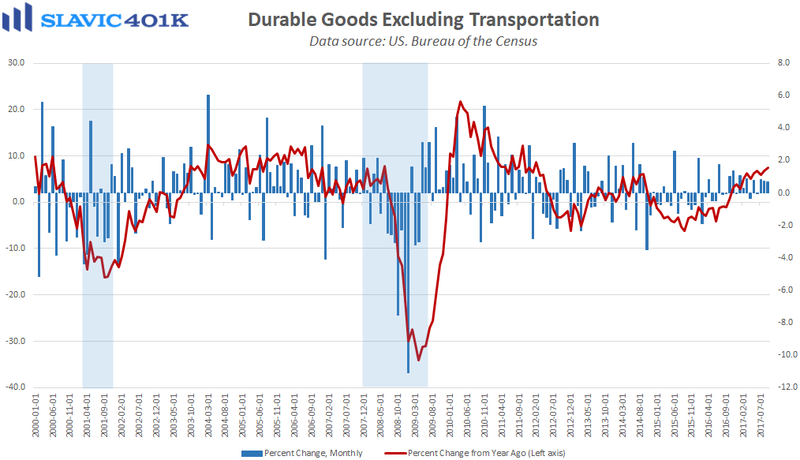 Even “core” durable goods orders, which exclude the volatile transportation component, rose by more than anticipated in September, as did orders for nondefense capital goods excluding aircraft, i.e. 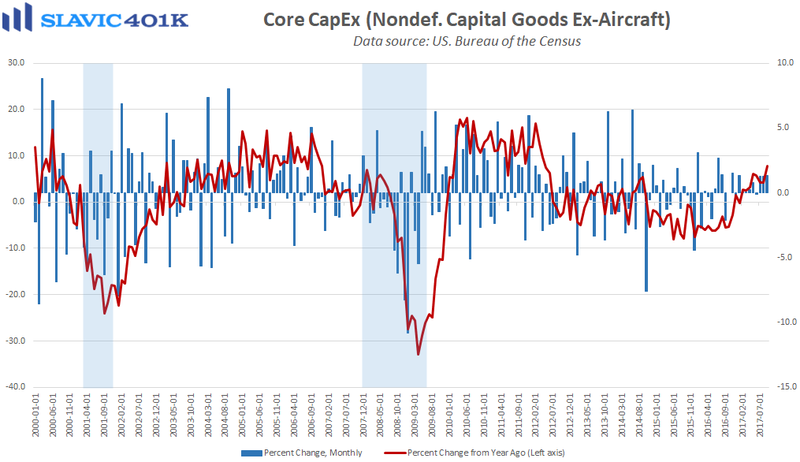 core capital expenditures, an important proxy for U.S. business investment. Altogether this was an encouraging report that bodes well for third quarter gross domestic product (GDP) growth. 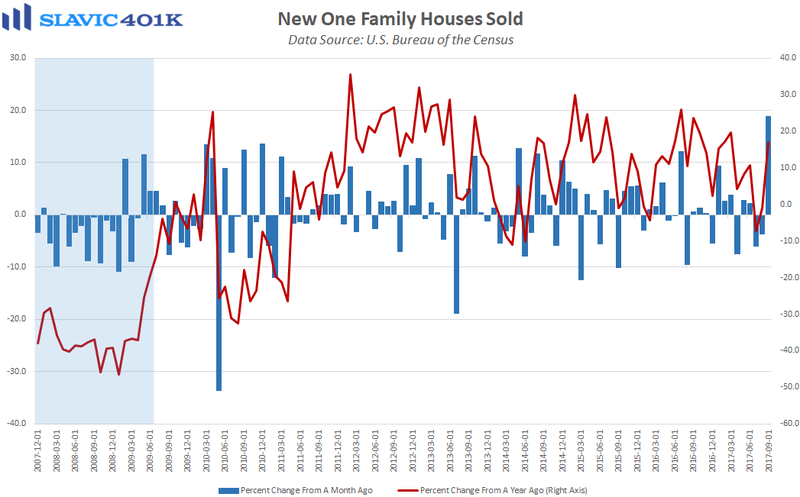 Another report from the Census Bureau showed that sales of new single-family homes in America surged by 18.9 percent in September to a seasonally adjusted annual rate of 667K units. That was significantly better than economists expected and the largest monthly increase since 1992. 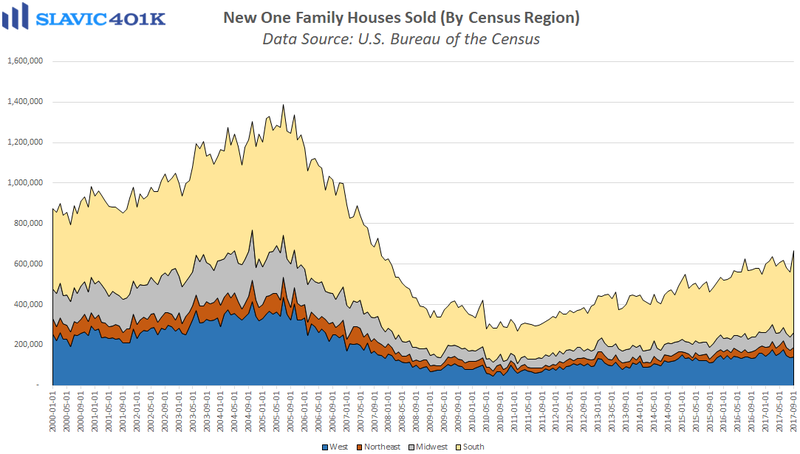 Regionally, new home sales rose across the country in September but the biggest gains were found in the Northeast and the South. 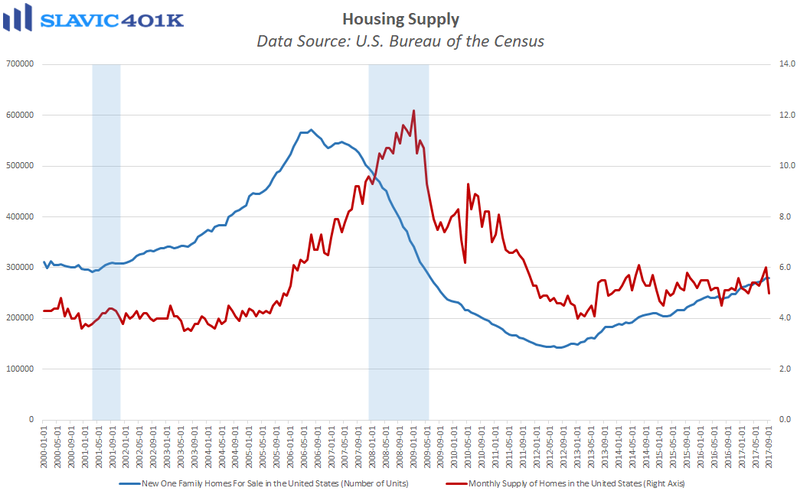 The inventory of new single-family homes in September fell to 279,000, and months’ supply plunged to 5.0 based on the current sales pace. 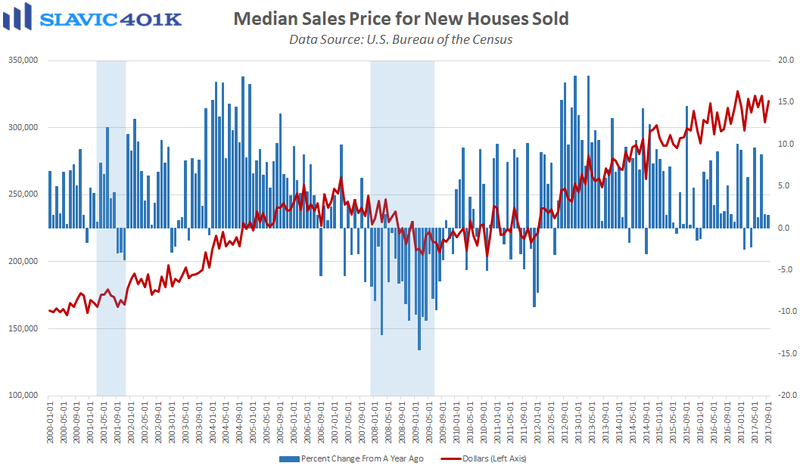 The inventory decline helped raise the median selling price of new houses sold in September to $319,700, 1.6 percent higher compared to this same period last year. Overall this was a solid report, and the strong gain seen in the southern region of the country suggests that demand rebounded quickly following any disruptions related to hurricanes Harvey and Irma.